When I first started this site, I submitted an instruction to the Google bot to crawl (aka poll) my site only occasionally. Google sent a canned response that they didn’t have to abide by it. Mostly they have respected my request, but something changed about two weeks ago. For the first time ‘rafrenzy’ was not the top search string, and that string being at the top made it obvious I was mostly found by word of mouth. But now the search engines are running about four to one compared to my other referrals and ‘rafrenzy’ is far down the list. If you could see my stats list, it would be obvious more and more are curious about this Richard Armitage who is playing Thorin Oakenshield. What else am I to conclude if a piddly blog like mine and one that has tried to remain under the radar can be generating so many hits lately? Let me put it this way. If I keep going at this rate, I will be getting what amounts to 45,000 to 60,000 hits a month. And I know Nat and Servetus generate much more not to mention all of the other blogs in RA Universe (see the ‘Addict List’ or ‘Tumblr’). Yeah, something has happened. Usually I say something like Ohcheemama! when I see this. Some people say PHWOAR! or maybe Squeee! If you’re not sure, you’ll have to come along and learn the fine art of appreciating Richard in all his glory. Well, maybe not all of his glory. I do keep this blog safe for work. I wonder when I’ll tire of publishing these pictures? Screencap courtesy of the amazing Karima and candid shot courtesy of JJ via RichardArmitageNet.Com. I have heard from others they are getting a huge number of hits, too. Yep, it’s gotta be due to Thorin. Doesn’t RA clean up nicely, though? Purty from head to toe. BTW, I don’t think my numbers are going to hold, but the interest in RA is obvious. Glad for him! You are a kind soul to provide such a public service, Frenz! May I wish you and your family a Merry Christmas and a Happy New Year? And thank you, Kathryn. I hope you and yours have a very Merry Christmas as well. You are a kind sould to provide such a public service, Frenz! May I wish you and your family a Merry Christmas and a Happy New Year? I hope you have a great Christmas and every best wish for the New Year. PS: That trailer was so beautiful to see – especially after the struggle and setbacks in the early stages. Glad to see you, Mulubinba! I’ve been meaning to send you an email Will do soon. If I don’t get it drafted in the next couple of days, I hope you and all of yours have a wonderful Christmas and New Year. I KNOW you get a lot of hits if for no other reason than you were my number one referral until recently and are still high on the referral list. I bet you’re high on the list of many of the other RA bloggers. You’re also the first blog that comes up when Richard Armitage + blogs is queried, and it’s been what maybe 6 or more months since you posted regularly? That’s pretty good. Without knowing jack about your stats, I’ll bet a healthy percentage of your hits are unique. I’ll stop now so as not to bore everyone. We can talk elsewhere. The day I stopped posting images of RA and the Gisborne story, my stats dropped… go figure. However I plod along, leaving it all to people like you, Frenz. Funnily what remains of the Gisborne story still gets mega-hits (might bode well for publication in February) plus anything Jane Austen or my farm-life. A post on what creates views and comments might be interesting. And the demographic. I’ve always wondered what age the demographic is for RA. 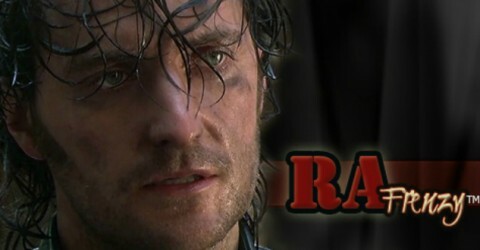 I love the Gisborne story, but I also love reading about your writing process, farm life and others you’ve interviewed. Mostly, I read from my phone, and it’s a pain to comment but need to more often. Candidly, part of my method here is not just about RA. This really was an experiment for me to see if I could start writing on a regular basis (lame as some of it is), but as I get into writing other things, elsewhere, it’s tough to keep it up. You were smarter about all this business than me, Frenz. I’m kind of weirded out by a lot of this attention. There’s a person who regularly googles specific details from my dreams and waking fantasies. If I were starting out now I’d probably behave somewhat differently. Nat, you were my main referrer for months and months and I think you’re still number two. I’m not sure it’s being smarter or just having a maniacal need to stay anonymous. No way I would post this blog as me. Mainly because so many of my friends and family would never let me live it down. Literally, I would never heard the end of it, and my diary was in part to share with others who might be in the same position I am. BTW, those of you who know me, thank you for being gracious. LOL! now if you would excuse me,I have urgent things to do. We make our priorities. As with FB, if I had a blog I don’t know that wide hits or gaining 1M “friends” would be the goal. RA has and continues to provide much inspiration and creativity in the RA community, as well as inspiring an ever-enlarged group of collegial followers of his career. And that is good. oh, and Fitz, I’m going to leave the anon since you said something about it. If that happens again, please feel free to have me fix it. I hate to disappoint you all but the number of hits you have been getting is probably from ME! Remeber I told you about this slight affliction I was experiencing with all things RA….well, needless to say I am CONSTANTLY checking for updates everywhere and anywhere. I can’t tell you how many times I visit all your pages a day……LOL….Oh well, this too shall pass! The email helps a lot. Then it comes to you! Even that has jumped up quite a bit. I have signed on to some, including yours servetus..which I love too…it goes into my hotmail account which then takes me to your pages. Let’s hope Annette does not oversleep. lol. From RA, most likely. From you, maybe not so much. LOL. Just Merry Christmas and Happy New year, Frenz and everyone! I think I would like his speaking voice to wake me up, and his singing voice to lull me to sleep at night . . .Trust me, if RA would pop here and there on our sets in VoD, Spooks, RH, etc. etc. I would watch, even though I have the DVDs, too.